I'm not sure if this is limited to Civil 3D, or whether it applies to AutoCAD also. 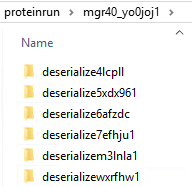 I'm starting to find that inside of user's %temp% folder, is a subfolder named "proteinrun", and inside this folder are tons of other folders, and inside each one of those, are more files and folders. On the few that I'm run across, there are thousands of files/folders sitting here, anywhere from 6-8 GB in total size. Ultimately, the files, when you finally drill your way to them, are .PNG files. I traced it back to Autodesk because of this KB article - which says it's related to Inventor, and that these files are deleted once Inventor closes. 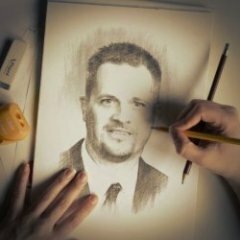 We are not using Inventor, and the files are not being deleted. I suppose it's possible that the files are not being deleted due to application crashing, but I was wondering if anyone else has run across this bloat? Its 29.5Mb and seems to be created on some sort of random day basis like every couple of days. There is a heap of other junk in there as well TCD??? ?.TMP maybe 3 per day. Even my Autocad temp directory has stuff every day added.